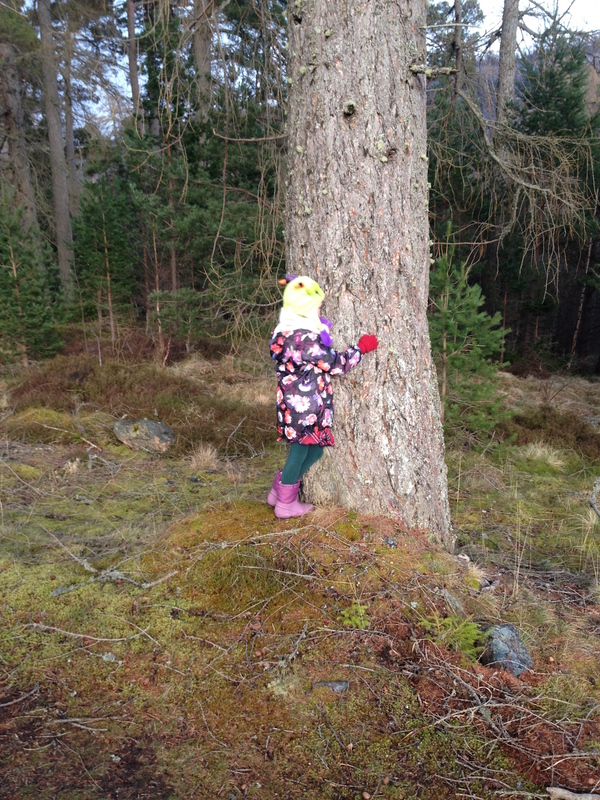 We have gone away for the long weekend and rather than going to a city where we typically spend our time racing around to all the sights, we’ve done the opposite and come into the heart of the Cairngorms to peace, quiet, and spectacular scenery. We booked one of the Co-Wheels hybrid cars, a Toyota Yaris, which was very good to drive. It’s just a little bit too far for the electric cars to make it here – it was a couple of hours away from Aberdeen – but hybrid cars are still very efficient. 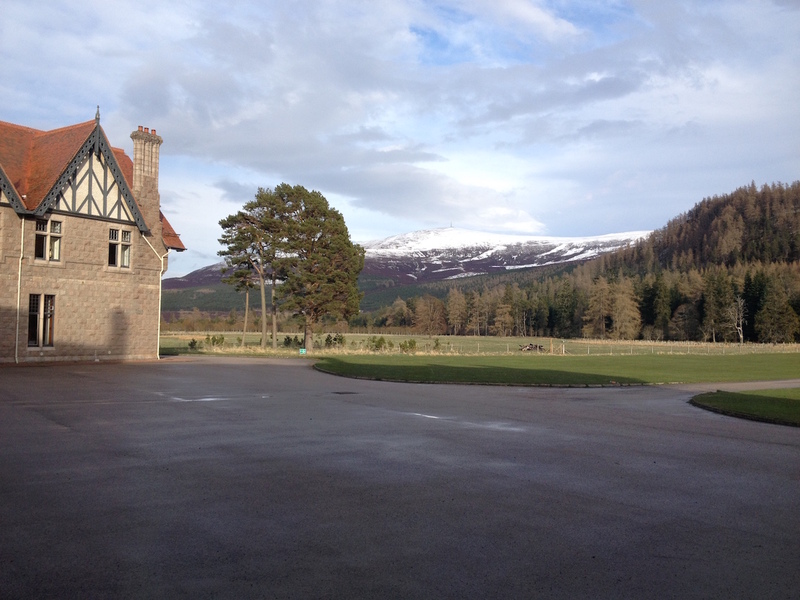 We’re staying at Mar Lodge, a fabulous former hunting lodge which is now owned by the National Trust for Scotland and let as holiday apartments. 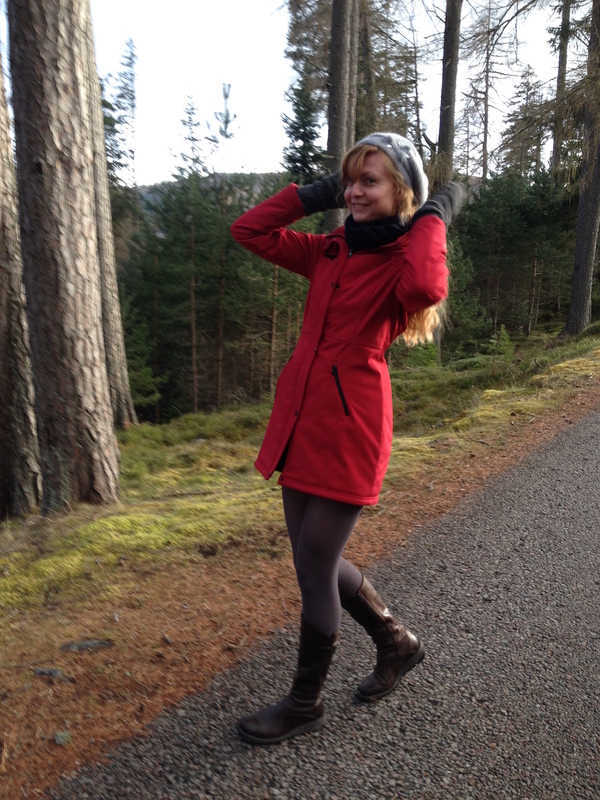 The Mar Lodge estate is huge at 77,000 acres and has 4 of the 5 highest Munros in all of the UK. 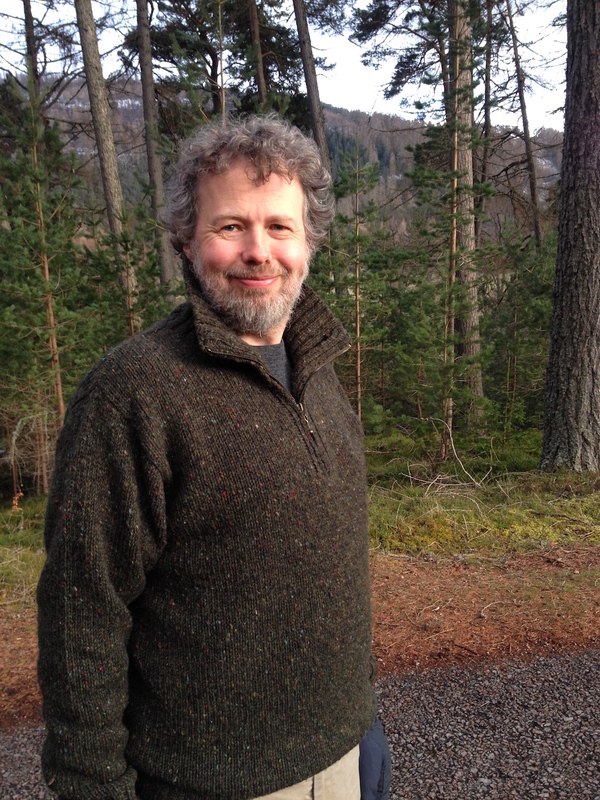 Don’t know what a Munro is? Neither did I! It’s a mountain that’s at least 3000 feet high. 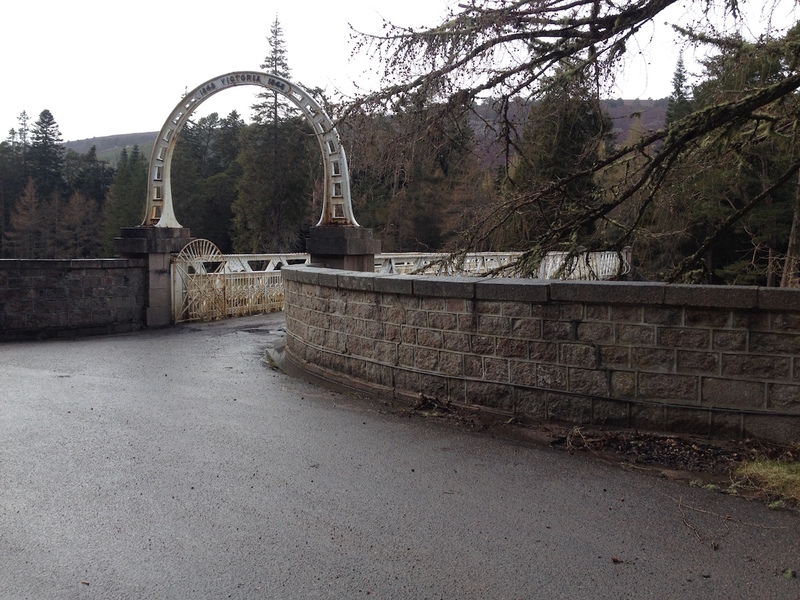 The bridge (Victoria bridge) leading over to Mar Lodge is a lovely old iron bridge built in 1905. It was originally built by Queen Victoria for her granddaughter, Princess Louise. Queen Victoria laid the foundation stone in 1895 and the lodge was designed by Aberdeen architect, Alexander Marshall MacKenzie. Prior to this the land was originally owned by a William Duff of Dipple who was apparently descended from the MacDuffs! (One of my readers is a descendent of the MacDuffs so this bit is for them). Duff built the first house in the area and named it Mar Lodge. 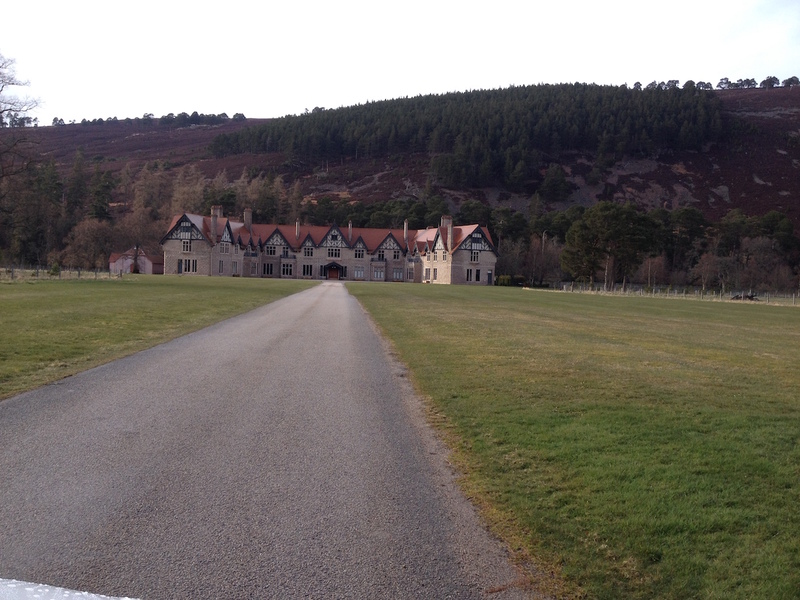 Queen Victoria laid her foundation stone of the current Mar Lodge about a hundred years later. And almost hundred years after that it was bought by the National Trust for Scotland – 1995 to be precise. Sadly much of the original interior was destroyed by fire in 1991 but they reconstructed it true to the original Edwardian interior using photographs. The apartments themselves are huge. I feel as though we’re living in the home of a giant. They’re also filled with beautiful antique furniture; none of the flimsy mass-produced soulless stuff you find in hotels. Dogs are welcome and although we no longer have a dog I am still biased in favour of holiday places which allow dogs. 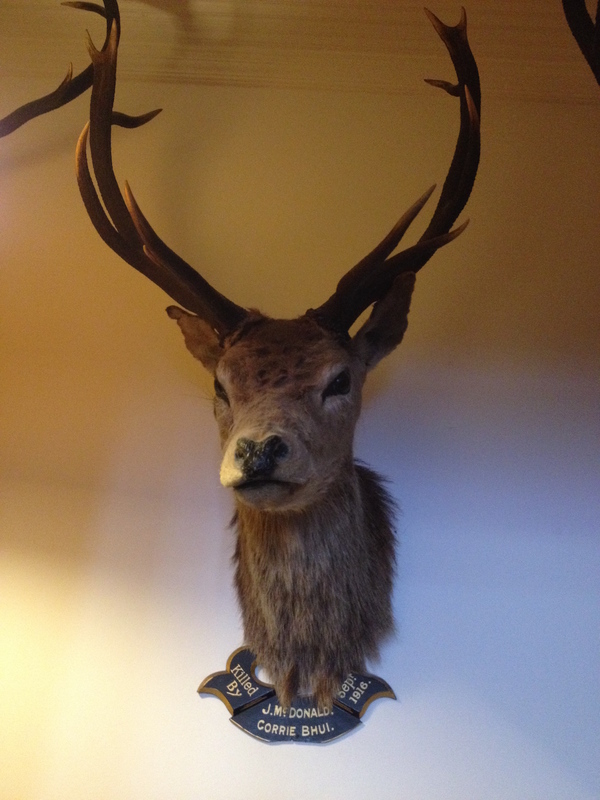 Since it was originally a hunting lodge there are deer heads everywhere. I knew this would be the case and although I’m vegan I’m ok with this. Most of them are more than 100 years old now. There is still hunting on the estate but much of this is required for conservation. The problem is the deer eat all the new young saplings and the deers’ natural predators – wolves and lynx – have long since disappeared in the UK because humans killed them all. There are current efforts to try to reintroduce the lynx and I am in favour of this but in the meantime we need another way to keep the deer population from destroying the forest. 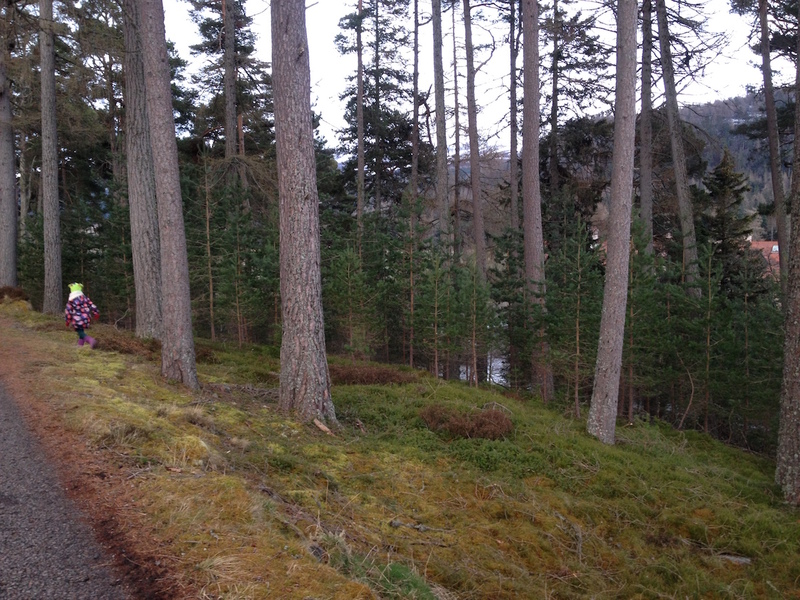 Some places use fencing and others, like Mar Lodge, shoot them to keep the population down. Up close you can see how huge and beautiful these animals are. I can’t understand why anyone would want to proudly display their name beneath as the cause of death of one of them. I would feel ashamed of that. It’s the end of April now and the days are really long so we feel as though we’ve got the best of both worlds: we’ve got the snow-covered hills *and* we’ve got daylight until 9pm. We went out for a walk last night after dinner. What’s particularly reassuring in this next pic are all the young saplings. It means this forest will still be here in another hundred years. 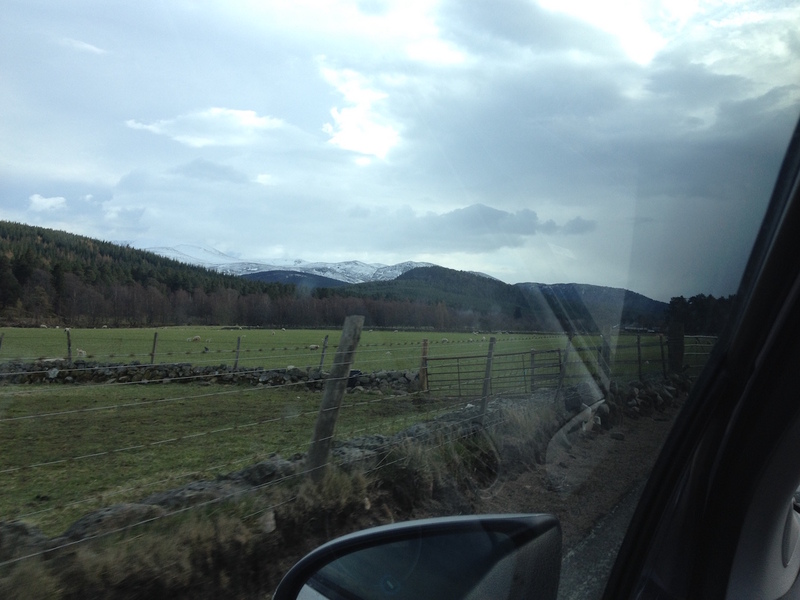 Posted in Journal and tagged Cairngorms, deer, hunting, Mar Lodge, munros, photos, Queen Victoria, Scotland, Victoria Bridge. Bookmark the permalink. What a lovely place to spend a weekend. Terrific photo of Ben. It is a lovely a place to spend the weekend. I can’t believe we haven’t come here before now. Wow, nice photos! 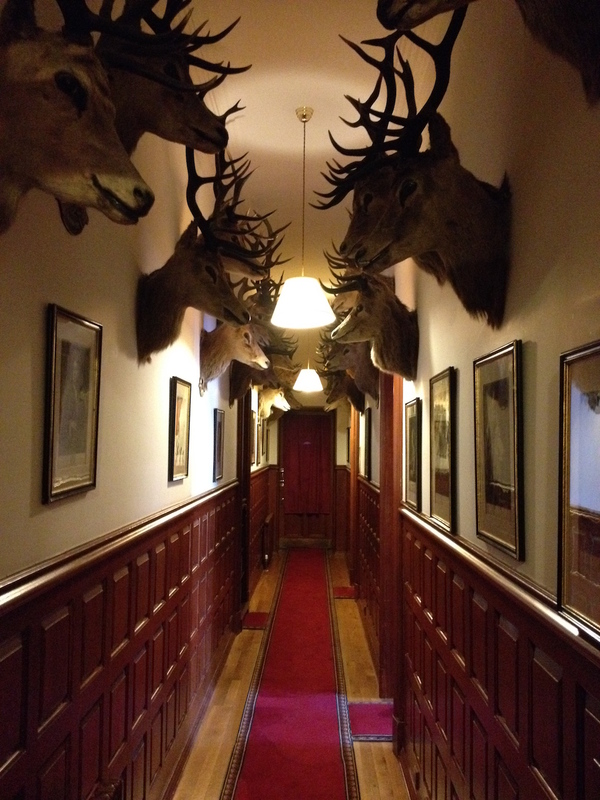 I liked the Mar Lodge and the apartment hallway. The hallway is kind of freaky! You sure can pick your holiday spots! This is beautiful, if a trifle cold still! I find the displayed deer head carnage really off. As you say, why would anyone want to advertise they had done this! Wolves or lynx are a much more natural solution to over population. 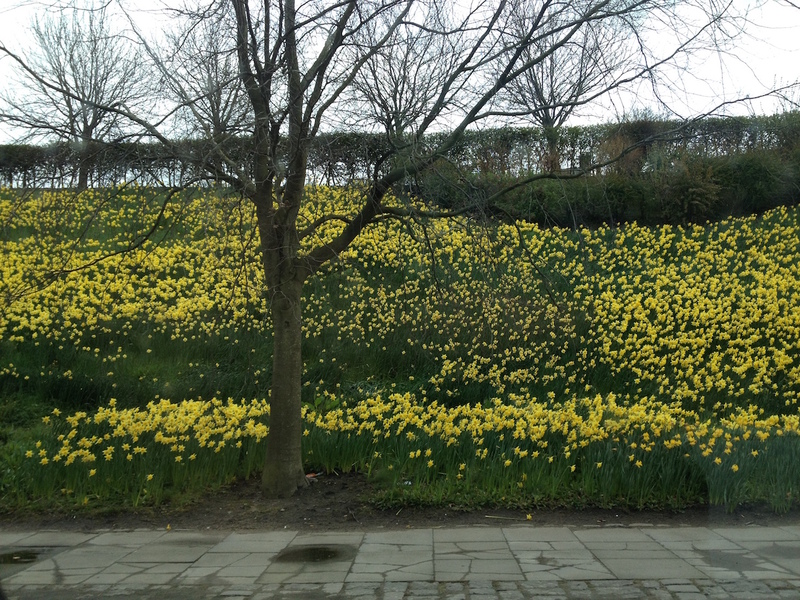 There are daffodils everywhere in Aberdeen just now and this particular hillside was huge. I only photographed one small section of it. 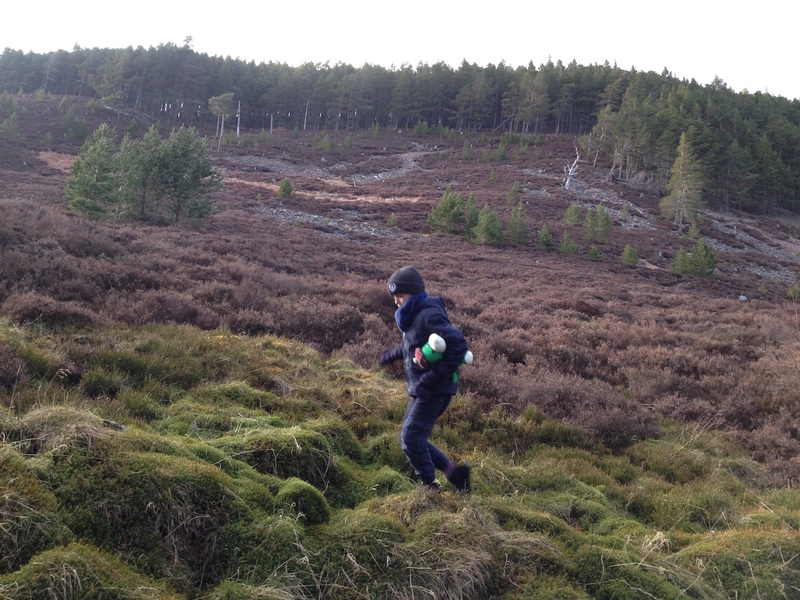 Great area, have stayed in bothies, bivvied out, camped, climbed, walked and snow holed there, but never visited Mar Lodge, looks brill. A bothy is a wee shelter in the hills, usually stone built, free to stay in, but primitive (look up the Mountain Bothy Association), kids usually love them. Snow hole is a hole you dig in the snow to sleep in, cosy if you get it right and a bivvy is a bivouac, usually a Gortex bag you sleep in, light to carry but very primative. Hope that helps.